Meet your neighbor and Illini West Senior Braxton Boyer of Carthage. Braxton was born on August 29, 1995 in Carthage, the son of Eric and Tonya Boyer. Eric is a seed salesman and Tonya is a stay at home mom. Braxton has one sister, Bailey, 16. He is the grandson of Jack and Bev Ufkes who live just north of Carthage and Judy Boyer who lives near Ferris. Bev and Jack farm, and Judy works at Kame Pharmacy in Keokuk, Iowa. Braxton has worked for his father as a seed salesman for the last 3 years and previously worked as a farm hand. His hobbies include football, riding four wheelers, spending time with his girlfriend, and he enjoys hunting. He also likes to go skiing in the Colorado mountains. Braxton just completed his fourth and final year of football where he received an Honorable Mention out of the area football players. 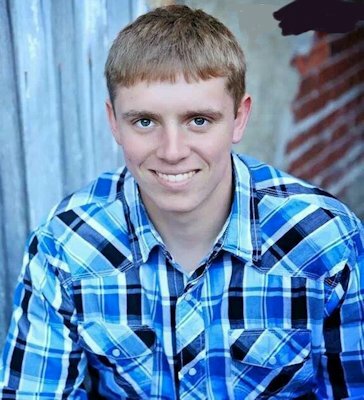 Plans for Braxton after his Illini West High School graduation this May of 2014 include attending John Wood Community College and then transferring to Iowa State University, in Ames, Iowa.